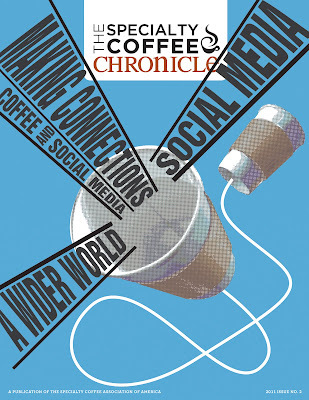 We’re happy to announce that the Social Media issue of The Chronicle will be available for free to all Event attendees. Last year’s Social Media issue was one of our most popular and we’ve used the last year to process your feedback and create an even better issue this time around. 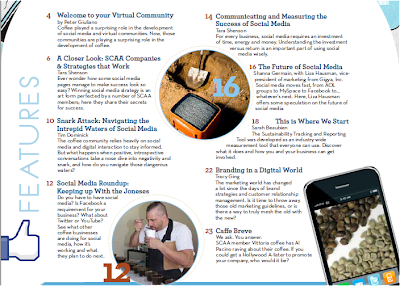 Look through the pages of the magazine and you’ll find articles about building your social media campaigns around successful models, establishing your digital brand, and navigating the at times intricate world of social media marketing. The fields of internet marketing and social media are ever-evolving and we want all of our Event attendees to be a part of the dynamic dialogue. If you’ve got a Chronicle subscription, you’ll receive your copy in the mail as usual, but the issue will also be available free of charge to all 23rd Annual Specialty Coffee Event of the Year attendees. If you’ve gotten your hands on the issue but are still looking for more information about social media, we suggest attending the How to Develop and Implement a Social Media Strategy for Your Business at The Event on Saturday, April 30th from 10:30 to 11:45 am. The presentation is included in the price of your Symposium, One-day, and Three-day Trade Show badges. We’ll see you at The Event!